One of the key goals that users of analyst research have is finding ways to growth their businesses. 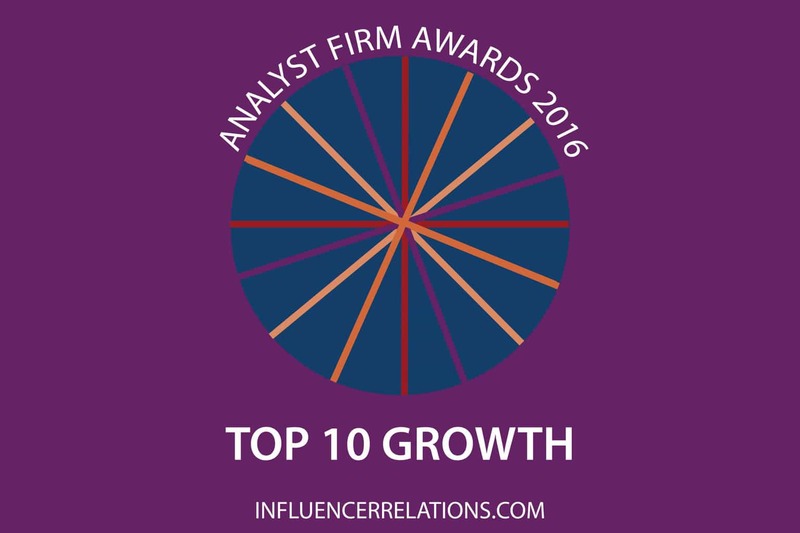 The Growth Analyst Firm Awards for 2016 recognise the firms which are most valuable in terms of business growth. 46% of those who responded to this question in the Analyst Value Survey are on the supply side; the remainder is on the demand side. Gartner was given first place by huge 29% of the participants, especially those on the supply side. Forrester Research was put in first or second place by 21% of the survey respondents, and typically does better with those on the demand side. IDC was said to be one of the top three firms by 23% of those who answered, and is notably strong in the service segment. HfS Research was ranked in the top four by 29% of those who took the survey, although the gap between it and IDC continues to narrow. Everest Group was considered to be in the five most valuable firms by 29% of those who answered, and has especially strong roots in the North American market. 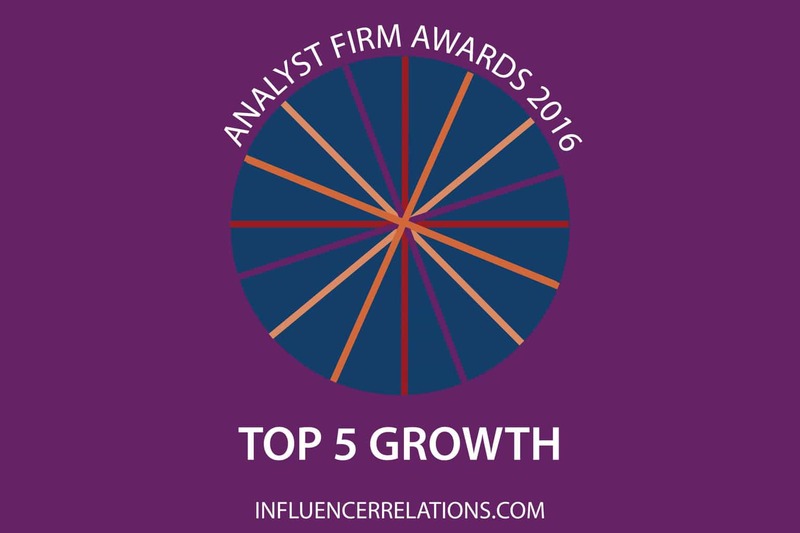 Taken today, it’s quite notable that the top five firms were the same as in the previous growth awards. ISG has risen to sixth place on the back of strong support for the supply side. NelsonHall is pushed down to seventh place despite winning slightly more top choices than ISG. 451 Group has improved this year. Although few people have it as number one, 17% of people had it in their top five, reflecting its growing awareness. Pierre Audoin Consultants in the other hand was mentioned by just 12% but three in four of those had it in their top three, reflecting the firm’s more focused appeal in Europe and in the Software and Services markets. Ovum got into the top ten for the first time this year by a whisker, pushing Digital Clarity Group out of the top ten. Perhaps DCG’s hiring of former Ovum VP for the Americas, Alan Pelz Sharpe, will edge it forward in 2016? This entry was posted in Analyst Firm Awards, On Research Firms and tagged 451 Research, Everest Group, Forrester, Gartner, HfS Research, IDC, ISG, NelsonHall, Ovum, PAC. Bookmark the permalink.